It’s hard to stand against the pull of popular opinion. It’s difficult to say ‘no’ when so many people around me are saying ‘yes’. It’s no fun to stand up for what I know is right when the majority of my culture thinks it’s all ‘ok’. 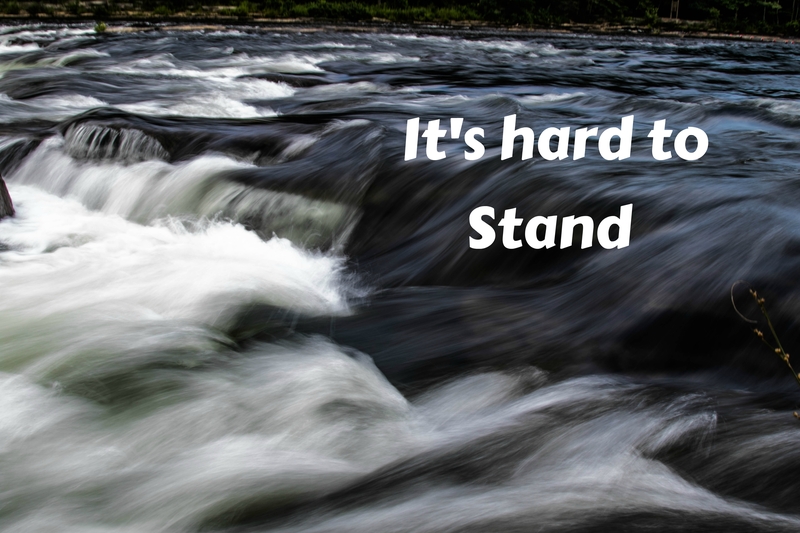 But there are times and there are situations where I need to stand, even when it’s hard and difficult and definitely no fun. I need to stand. Genesis 27 gives us a good example of what happens when people who want to do the right thing don’t stand up against the crowd. Reuben was Jacob’s oldest son. He should have stopped the whole nonsense when his brothers started talking about killing Joseph. The discussion was bad enough but then Reuben actually let the rest of his brothers throw Joseph in the cistern, leaving him there to die. The Bible tells us that Reuben was ‘secretly planning to rescue Joseph and return him to his father’. Too little, too late, Reuben! While Reuben was distracted with something else, the rest of his brothers sold Joseph to some slave traders passing by. When Reuben got back, Joseph was gone. Should have, could have, would have…….but Reuben didn’t. He didn’t stop his brothers right at the beginning so he missed his chance to do what was right. He had an opportunity to stand up to his brothers and help teach them what is right. But he didn’t. I can miss my chance to do what is right, too, if I follow the crowd when they are going down a crooked path. Reuben didn’t do or say anything to stop them so he became part of the group that did this despicable thing. He became part of the problem. How often to do I miss my chance to stand up for what is right? Please give us courage to stand up for what is right, Abba Father. Choosing inaction is in fact action., might as well join them and be part of the group. Thanks for spreading His Word and showing daily application for me Judy. God is always good and right in spite if the culture de jour.